Welcome to the Gliebers Dresses Executive meeting! Glenn Glieber (Owner): "... and overall, I'm very happy with the new names we've assigned to the conference rooms. I always hated '1A' and '1B', I mean, who wants to go to a meeting in '1G"? Maybe that's why people haven't been attending meetings lately? Anyway, the three main conference rooms will now be named Sundress, Hoodie Dress, and Dinner Dress. Roger, please make sure that Microsoft Outlook maps 1A, 1B, and 1G to the new names, ok?" Pepper Morgan (Interim Chief Marketing Officer): "I'm really glad that Kevin is here today. We've been working together on the Spring 2010 catalog contact strategy, and we've got some dramatic changes to share with you." Roger Morgan (Operations & IT): "Oh, contact strategy management is a really important part of a vibrant multichannel marketing strategy. I read in a recent Woodside Research White Paper (WRWP) that there are something like six easy steps to a perfect contact strategy ... target customer, advertising channel, merchandising strategy, creative strategy, investment strategy, and contact frequency. Get those things right, and you maximize return on investment. At least that's what the white paper suggested." Pepper Morgan: "Correct. For the past fifteen years, Gliebers Dresses employed what is called a 'remail' strategy." Candi Layton (Chief Customer Officer & HR): "What is a remail strategy?" 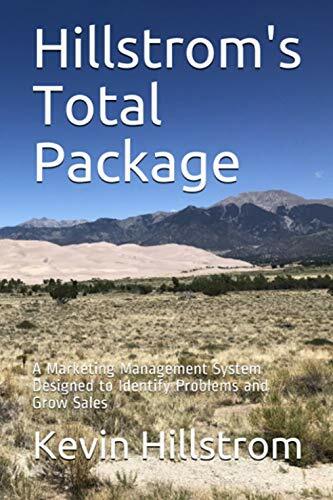 Pepper Morgan: "A remail strategy means that you create a catalog, send it to the customer, then you create a new front cover and back cover and send the newer version to the customer two more times. This allows you to save a lot of money." Candi Layton: "Are you serious? We mail the same customer the same catalog three consecutive times? This has to create a terrible customer experience. Why would the customer want to receive the same catalog three times? That's stupid." Meredith Thompson: "Candi, this is an established catalog marketing best practice. 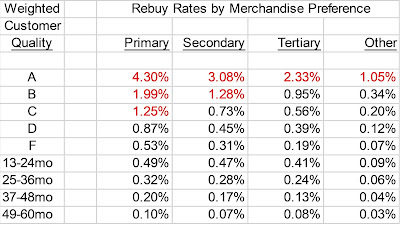 Most companies that want to save money employ some type of remail strategy. Don't you want to save money? Even more important, I get an early read on merchandise, and can react accordingly, so that inventory is well managed for the second and third releases of the same catalog." Lois Gladstone (Chief Financial Officer): "I think it is really important to minimize expense, with the cost of paper always going up and that awful postage increase in 2007." Candi Layton: "It's still a terrible customer experience. It's absolutely boring." Pepper Morgan: "Well, folks, all of that is about to change. Kevin, what did Multichannel Forensics teach us about page counts." Kevin: "First, each time you send a remail to a customer, the remailed catalog is 30% less productive. Say you send three 124 page catalogs to a customer, one catalog and two remails. The first catalog generates $3.00 per customer. The second catalog generates $2.10 per customer. The third catalog generates $1.45 per customer. Total for the three catalogs = $6.55 per customer. Candi Layton: "That's what I'm talking about, it's a terrible customer experience. By the time you get to the third catalog, the customer is bored to death." Kevin: "So we can do something different. Let's assume that over the course of six catalogs, the remail strategy would generate $13.10. Instead of six 124 page catalogs, with four of the catalogs being remailed, we'll try a new strategy." Pepper Morgan: "Here's the new strategy. We will do three new catalogs, with about 124 pages each. We'll do three small catalogs, maybe 64 pages each. The small catalogs will basically pick up existing creative, with new pagination in each catalog. We'll only pick the very best merchandise in the 64 page catalogs, so that the smaller catalogs will perform better. We'll alternate ... big catalog, small catalog, big catalog, small catalog." Kevin: "And because the smaller catalogs with best product perform better, we can mail a lot deeper, we can mail to a lot of prospects. Now on a comp customer basis, with the current strategy, we'd generate $3.00, then $2.10, then $1.45, then $3.00, then $2.10, then $1.45, for a total of $13.10 over six catalogs." Pepper Morgan: "But with the new strategy, we'll generate more demand. The first catalog of 124 pages will still generate $3.00. But then the smaller catalog, with best products, will generate $2.20. And then we mail another 124 page catalog, new creative, at $3.00. Then a smaller catalog at $2.20, a big catalog at $3.00, and a small catalog at $2.20. This six catalog series generates $15.60 ... a 19% increase over the old strategy!" Kevin: "And here's the best part. You generate 19% more demand on 24% fewer pages." Pepper Morgan: "But wait, there's more! The smaller page count catalogs perform so well, because of their reduced cost, that you can mail many more prospects and reactivation segments. This allows us to extend our reach, and acquire/reactivate more customers!" Lois Gladstone: "Does it cost more to create all of these new catalogs?" Pepper Morgan: "Not much. We don't have to shoot new images in the smaller catalogs, we just pick-up existing creative. Across a six catalog series, we only have to create one extra catalog, and I'm willing to have my team do the extra work. I project that we'll be able to save 10% in catalog advertising cost, per year, using this strategy, while generating 19% more demand. Pepper Morgan: "Kevin says other companies are doing this, and they are seeing this kind of result." Kevin: "The strategy should generate an additional $2,000,000 to $3,000,000 of profit, per year." Roger Morgan: "Why didn't Sarah Wheldon ever suggest doing something like this?" Meredith Thompson: "I think Sarah knows, from all of her experience, no offense Kevin, that there's a lot of risk in doing this. We've never done something like this, so how could we ever know that this will work? Your list rental and co-op partners advocate the remail best practice strategy for a reason! And my team will have no idea how to forecast demand for these smaller catalogs. I'd like to have a lot of say in what goes into the smaller catalogs, after all, it is my merchandise. I'm not sold on it, yet. There's a reason we've always done the same thing, year after year --- it works. I just don't know about diving in head first on a strategy based off of some spreadsheet simulation, I'd rather work with reliable metrics and a reliable history of results. This would change everything, and if it doesn't work, we'll just go right back to what we used to do, and then we lose a year of valid metrics and profit. Risky, folks, risky." Roger Morgan: "Well I'm sold!" Candi Layton: "I think this makes for a better customer experience." Lois Gladstone: "Obviously, I'm sold." Meredith Thompson: "Folks, this is just so risky. We're only exposing my new products to best customers. How will potential new customers ever know about our new products?" Pepper Morgan: "We make all of the profit off of this concept. New products are risky, and they don't perform well. So why should we lose so much money introducing low productivity products to low productivity customers. Bad times Bad = Really Bad! Instead, why not introduce new products to our best customers, and let new customers subsidize the advertising expense? Finally, if the new customer wants to explore new products, they can do so online --- we're not saying that the customer can't buy new products. And if it makes you happy, Meredith, we can create spreads in the smaller catalogs that encourage the customer to view new products online on special landing pages." Glenn Glieber: "This is one of those times when I think we have to take a risk. 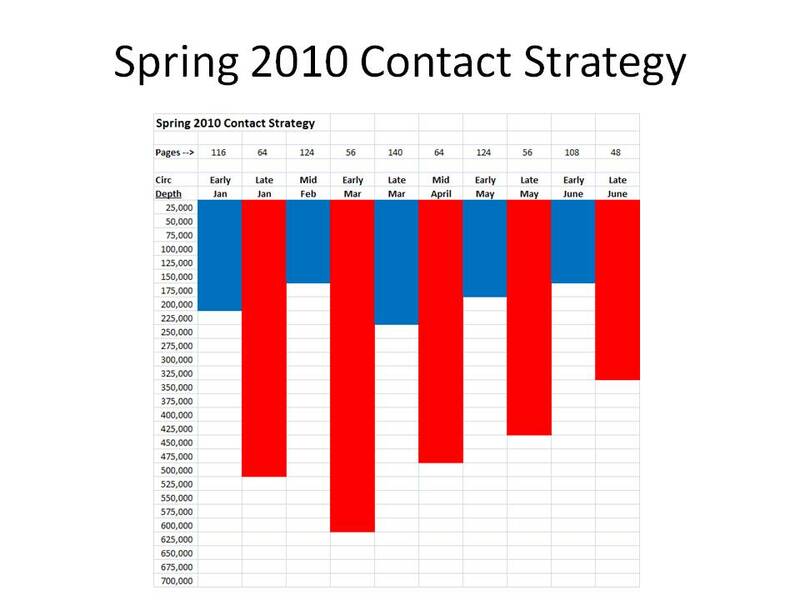 Let's try the strategy for Spring 2010, and if it doesn't work in Q1-2010, we can go back to the current strategy for Fall 2010. See, folks, this is what I'm talking about ... this is one of those 2% solutions that actually gets us several million dollars in profit. Just reach down and pick up the money!! Great job, Pepper, great job! Now, on to the next topic. Tomorrow, in the Hoodie Dress conference room ..."
Roger Morgan: "Which conference room is that?" Meredith Thompson: "I thought it was 1G?" Candi Layton: "No, it is 1B."